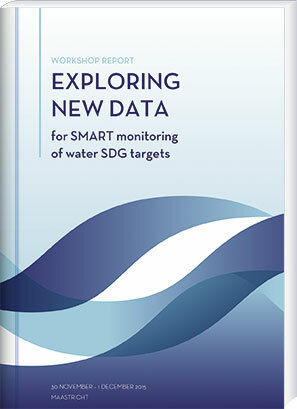 On 30 November and 1 December 2015 the workshop “Exploring new data for SMART monitoring of water SDG targets” took place in the House of the Regional Government in Maastricht, The Netherlands. The workshop was organized by the Netherlands National IHP-HWRP Committee Secretariat and jointly convened by the National IHP-HWRP Committees of The Netherlands, Germany and Belgium. The workshop brought together more than 40 scientists, policy-makers and practitioners from the three countries, who analyzed the present state of monitoring in their countries; looked into the water-related targets of the Sustainable Development Goals (SDGs) and their indicators; presented innovative data collection and monitoring techniques; and identified gaps between what is currently being monitored and what needs to be monitored to fulfill the monitoring responsibilities of the water SDGs .